The pound held firm near the day's highs today after data showed that British employers increased their hiring at the fastest pace in three years. The broad uncertainty surrounding Brexit negotiations is also keeping investors sidelined. While the pound has been little moved by British economic data in recent weeks, preferring to focus on the progress of Brexit negotiations, the data offered investors an excuse to consolidate their positions after a late selloff yesterday. The number of people in work in the UK surged by 222,000, helping to push down the unemployment rate to 3.9%, its lowest since the start of 1975, official data showed. Sterling got off to a volatile start to the week, shedding 0.5% in late London trading yesterday. 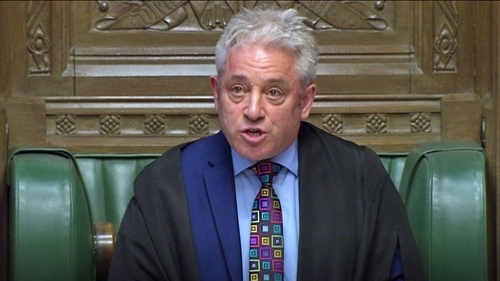 The falls came after John Bercow, the speaker of parliament, said Prime Minister Theresa May's Brexit deal could not be voted on again unless it was substantially altered. The pound's fall on Bercow's ruling was quickly reversed, partly on confusion over the next steps and a reluctance to take directional bets but also because there was little disturbance to the running market assumption of "deal or delay". Morgan Stanley strategists also said the pound remained a buy on dips. The US bank's positioning tracker showed broader market positions on the pound was broadly neutral. Against the dollar, the pound firmed 0.1% higher at $1.3270 and just below a day's high of $1.3282. It rallied to a nine-month high against the greenback to nearly $1.34 last week and is down less than 1% from those highs. Despite the latest political developments, various gauges of volatility indicators for the pound ticked lower today, reflecting a broader drop in currency market volatility.